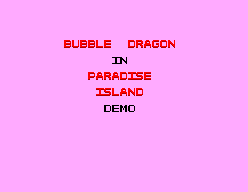 View topic - [Hacks competition 2019] Bubble Dragon in Paradise Island by Kilkakon - Forums - SMS Power! 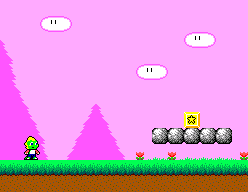 enjoying the process of making new tilesets and artistic landscapes. 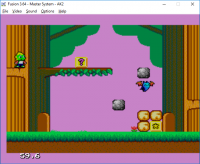 on platforming and more outwitting enemies and fun item synergy. been. I hope that you all enjoy! to help me when I had no-one else to turn to. I have finished the demo and is really good, good job!!! This plays quite well, and it has some really nice art. Good job. Solution: don't die by the first tree...! Another nice intuitive game with good game mechanics - great job! 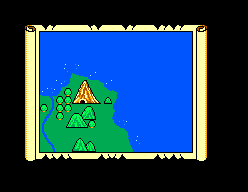 Quite nice graphics and playability here! I only had time to do a short run, but looks really promising! Thank you both for the lovely comments :) More to come for sure! And cheers for the report Steve, sorry that you got stuck there. I'll fix it in the main game. Hi Kilkakon - no problem... I think it's me because I also just got stuck on "Sonic in Miracle World".